MLA (1950-1953), MLA (1954-1957), MLA (1958-1959), Lieutenant-Governor of Manitoba (1976-1981). Born at Winnipeg on 14 August 1914, he was educated at St. Paul’s College (Winnipeg), Campion College (Regina), and the University of Manitoba. Arriving at Flin Flon in 1935, he found employment with Hudson Bay Mining and Smelting as a labourer, miner, and surveyor before moving to the company’s purchasing deparment. He was one of the organizers of the first union in Flin Flon, preceding the United Steelworkers of America. 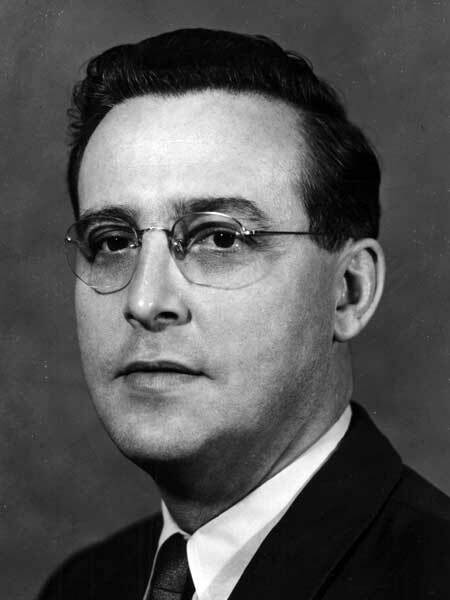 Jobin was elected to the Manitoba Legislature in 1949, re-elected in 1953 and 1958, during which he was Minister of Industry and Commerce from 1956 to 1958. He was a candidate in the 1962 and 1965 federal elections, and the 1959, 1962, and 1969 provincial elections but was unsuccessful each time. He was a member of the Flin Flon municipal council from 1966 to 1974 and Mayor of Flin Flon from 1974 to 1976, then was Lieutenant Governor of Manitoba from 1976 to 1981. He was founding President of the Flin Flon Trout Festival. He was awarded a Manitoba Centennial Medal by the Manitoba Historical Society (1970), a honorary doctorate by the University of Manitoba (1977), and a Queen Elizabeth II Silver Jubilee Medal (1977). Jobin died at Winnipeg on 25 August 1995 and was entombed in the Chapel of Eternal Memories Mausoleum. Obituary, Winnipeg Free Press, 27 August 1995, page 14.